When a full evaluation is indicated, MTC therapists inform families of their freedom of choice options either to pursue early intervention, go to their local school district or to consider private therapy options such as MTC or another private provider. Should a family choose MTC for their child’s evaluation, MTC therapists will work with families to either bill through their insurance plan or set up a private payment plan. Evaluations, just like the screenings are done conveniently onsite. MTC is an in-network provider with Blue Cross Blue Shield PPO, UnitedHealthCare, Humana, Aetna, Cigna, Mulitplan (PHCS) and Great West. MTC therapists work efficiently to complete the evaluation, discuss the results with the parents, provide a full written report and prepare a plan if therapy is appropriate. 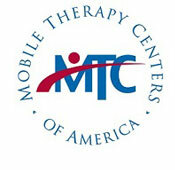 MTC therapists continue to be available to teachers and staff as an ongoing resource. Parents work directly with MTC to have therapy provided at the their child’s school or childcare during the normal day. There is no need for a parent to take time off from work or have their child miss school. If the child is already receiving therapy, but the available appointment times are a problem for the child or the family, MTC Therapists can continue their current treatment plan and pick up where a prior therapist has left off. MTC collaborates with classroom teachers/caregivers to ensure that each child receives therapy at a time that best meets his/her needs as well as the efficiency of the therapist’s schedule. We know water day is fun and we make sure the child gets to have fun and achieve their goals!